Trade alert - MW Capital Management Pte Ltd. While expecting equities to be lower over the next year or two, we do expect a continued rally from current levels. 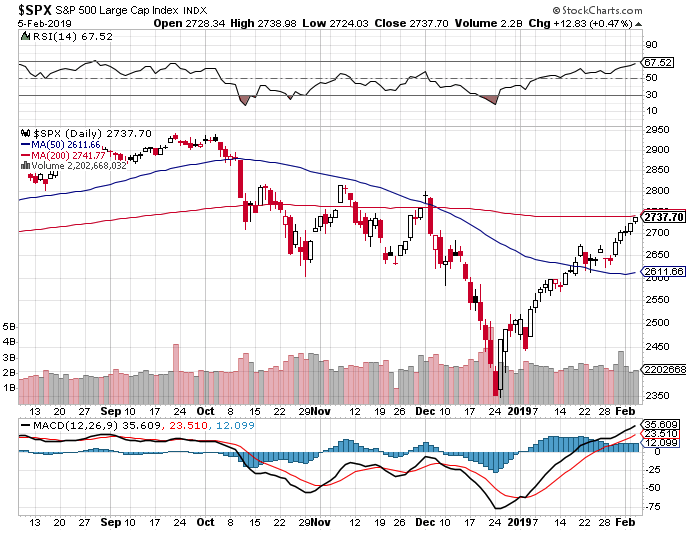 The market has indeed moved strongly higher the last few weeks and the S&P500 now at its 50wma and 200dma – see the charts below. 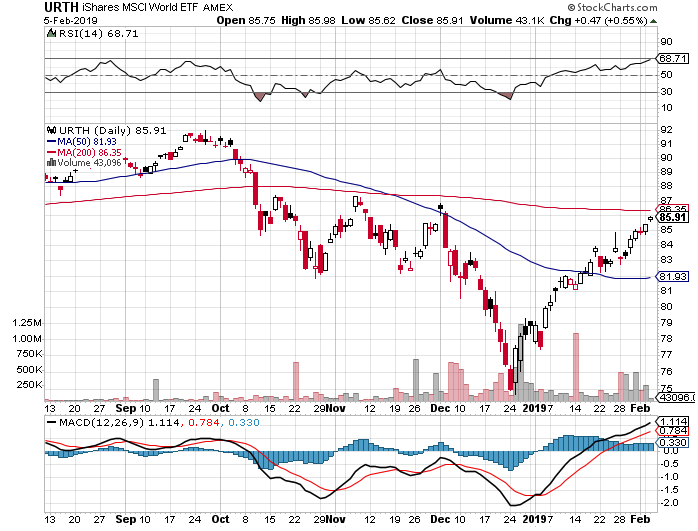 Similarly, the MSCI World (as reflected by the tracker fund URTH) is also close to its 200dma. As we commented in our Insights a week or two back, this could be an appropriate time for those short-term traders who added at the market low in December, to cut back. 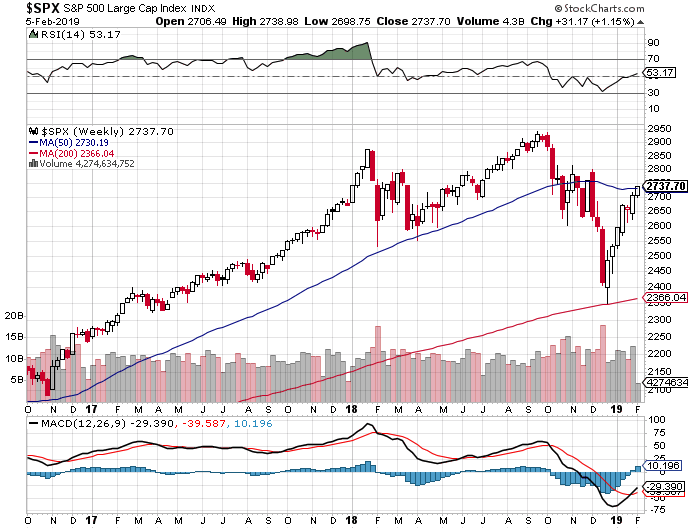 While trading using technicals is an art not a science, the market has had a very strong bounce already since the late December lows and the 200dma may give resistance. Copyright 2018 - MW Capital Management Pte Ltd. All Rights Reserved.